Nature is the most pervasive aspect of our life yet the most ignored. How often do we stop and marvel at the fortuitous ants or the feisty beetle? When have we stopped to gaze at the small flower growing in the field or at a leaf swaying in the wind? At first glance, these creatures seem inconsequential and uninteresting. Yet, if for a moment, we pause and delve into these details, we will uncover something remarkable- an unfounded innovation. Every aspect, structure, and process of our natural world has a meaning and principle that can revolutionize our thinking and lives. For instance, something as minute as a bird’s beak could completely transform our bullet trains or the simple buzzing honey bees can redefine cloud computing. For instance, the company Sharklet, using an inspiration form the shark skin has revolutionized the material science and cleaning industries. Some scientists observed that no barnacles ever stick to the shark skin. Curious, they decided to study the shark skin under the microscope and came across a startling discovery. The shark’s skin contains patterns of microscopic spacing, which fools the bacteria into believing there is not enough surface to stick on. This product, created using the principles of biomimicry, has far reaching implications that scale multiple industries. Not only does it benefit the billion-dollar ship cleaning industry by providing environmentally friendly and cost-effective solution, but also benefits the healthcare industry by providing effective sanitation for medical facilities. The impact of biomimicry does not stop there. By using inspiration derived from the mushroom root system, the company Ecovative has finally created a reliable and environmentally friendly substitute for Styrofoam. Scientists from Ecovative observed the intricate qualities of the mushroom root system. Then, taking this concept and some common agricultural waste, they created a packaging material that is durable and can be adjusted to meet any set of criteria. These sustainable materials can be produced in large-scale and is comparable to the costs of fossil-fuel based Styrofoam. Moreover, not only does Biomimicry helps create more efficient products in a very cost-effective manner, it provides a much larger solution to one of society’s most salient uncertainties- the relationship between economic growth and environmental care. So far, some politicians and economics have berated environmental care and sustainability as a thorn for economic growth. For instance, our president went so far to pull the United States from the Paris Accord due to possible stunting of economic growth! 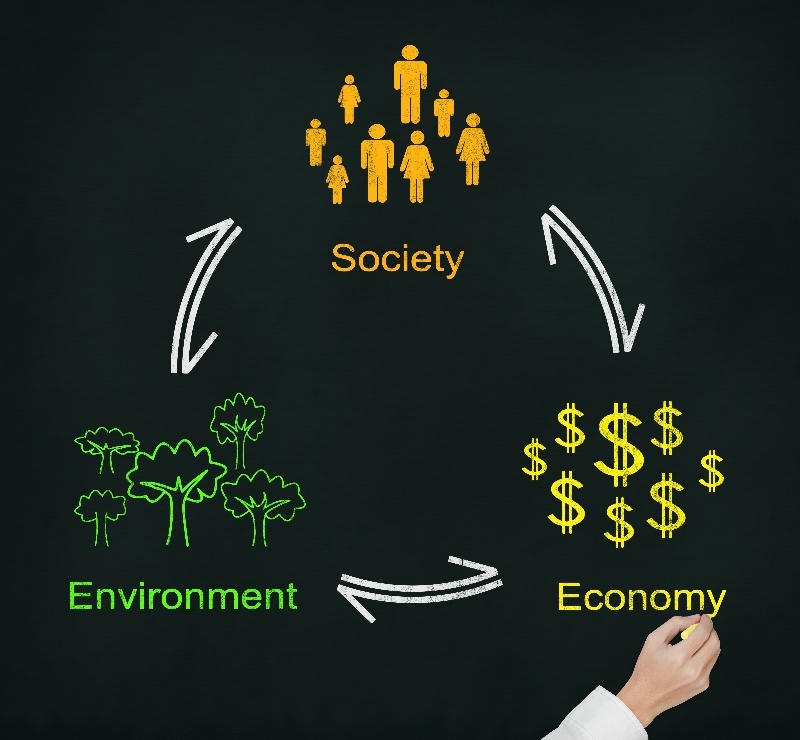 But, by changing our thinking and adopting new ideologies, I believe that it is absolutely possible to focus on sustainability and grow our economy, a belief not just one for the future, but a current reality already being felt by many industries. Pavan Raj Gowda, Founder & Climate Leader, Green Kids Now, Inc. Copyright © 2019 Children's Innovation Center, a project of Green Kids Now, Inc.